… Arizona is in the heart of the Sonoran Desert. This east valley city makes an ideal location for exploration and access to all the great amenities the valley of the sun. If your going to Mesa renting a vacation home is a better and more affordable alternative to hotels. Check out these Mesa Vacation Properties and inquire about availability for your dates. … camp for Grand Canyon Adventures. Phoenix and Las Vegas residents love to escape to Flagstaff and the surrounding areas for cool temperatures and outdoor adventures. Almost 5 Million Visitors annually come to take in the magnificence of the one of the natural wonders of the world, The Grand Canyon. We are currently looking to acquire individual and portfolio’s of single family homes in the Jacksonville Florida market. The BuyersUtopia network is made up of numerous individual investors, private equity firms and institutional investors that are aggregating single family rental properties in the Jacksonville Florida market. We can buy Class A and Class B properties in the greater Jacksonville area including the Northside, Westside, Southside, and Arlington, as well as the Jacksonville Beaches. … are pinpointing the ideal locations for their residential rental property investments by looking at detailed historical data as it relates to certain common risk factors that could effect a rental properties long term performance. This underwriting practice utilizes a Relative Risk Index to vet and underwrite residential income property deals. This preliminary residential rental property underwriting technique is a unique benefit for both individual investors and lenders as a way to mitigate risk and increase the likelihood of long term successful investment. … and capital moving into a national institutionally-managed, single-family rentals. It has been estimated that private-equity firms and other institutional investors have raised $6 billion to $8 billion to invest in this new asset class. Numerous private-equity firms have crowded into the business looking for a way to increase yields and bet on the recovery of the housing market. Institutions growing commitment to this strategy offers fresh evidence that the purchases of residential rental property, which began as a mom-and-pop pursuit, is gaining legitimacy among the biggest private-equity firms. … the 8.8% recorded in January 2011. It is however an improvement i.e. a 3% improvement from the capitalization rate (cap rate) recorded in 2006 when the country was experiencing a housing boom. According to CoreLogic, bulk single family sales are likely to gain investors concessions which are deeper than 30 percent. Also, cap rates are likely to increase to 10 to 12 percent if the price discounts increase to approximately 45% which will in turn create new rental opportunities for single-family rental property. … 62 percent of those foreign investment dollars were in the form of cash purchases. 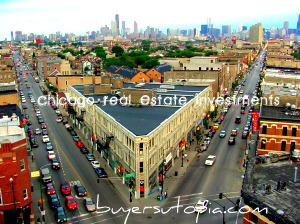 The hot spots for residential income property investing are markets like Atlanta, Chicago, Charlotte, Houston, Indianapolis, Kansas City & Memphis where foreign investors can acquire affordable residential properties that produce positive monthly income for the investor. Nearly 4 million families have been pushed into the rental markets since the great recession began and the housing bubble burst. At the same time the supply of habitable rental units has shrunk substantially. 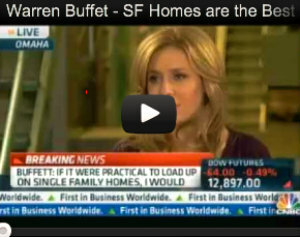 The result is that rents are rising and investors are moving in for the returns. The National Association of Realtors projects a 4% average increase in rents nationally this year and 4% in 2013. Goldman Sachs economists estimate that rental properties (acquired at today’s prices) are yielding more than 6% on average nationwide. … rental home as a business rather than just a vacation home. Most vacation homes can generate positive cash flow, paying for themselves even before the potential tax benefits and appreciation are taken into account. Keep in mind you can write off mortgage interest and property taxes on a second home even if you don’t rent it out; if you do, you typically can deduct a portion of your other costs, such as utilities and maintenance.